The guide was very knowledgeable, not just about the caves but other aspects of Indian history, and he made it all come alive with what was almost a stage performance! He was also quite solicitous of our welfare, as it was VERY hot. He made sure we had plenty of sitting and resting in the shade. The trip through the National Park was also very interesting. 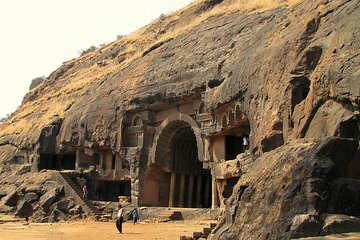 We did the Elephanta Caves tour. The caves are impressive and well worth the trip. Nitin was an amazing tour guide!!! He was extremely knowledgeable and we learned so much because of him. He also took extra time to point out good photography spots and poses and even took several of our photographs. This extra touch made it even more fun and meaningful. We were extremely happy with his service. The caves themselves were a sight to see. We were really glad we went and had a chance to view these detailed carvings from so many years ago. You must go- it is awesome and not given the attention it deserves. Its an easy day trip from Mumbai and not to be missed. Our guide was a lovely, intelligent and informative young woman. I thoroughly enjoyed the trip and my guide made all the difference. Good trip and good info. 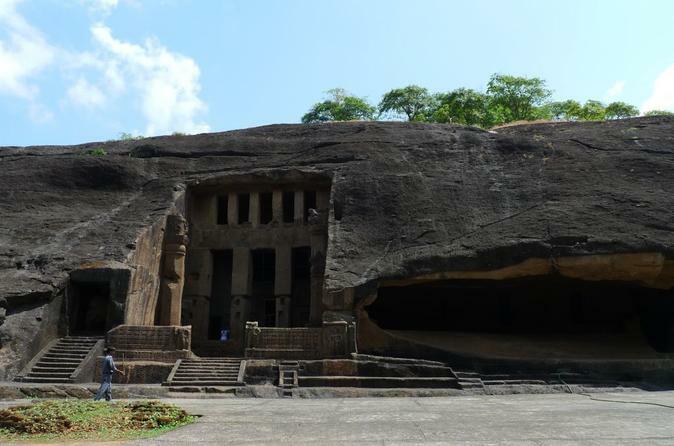 Our trip to Kanheri Caves was a definite trip highlight. Our guide provided a wonderful level of knowledge which brought the history of the caves to the fore and added considerably to our experience. Some wonderful examples of carvings on display all set on in a beautiful national park. We spotted deer and monkeys in the park and the views from the top of the granite outcrops back over Mumbai are fabulous. We had the elephants caves tour with supersonic tours and with Nitin as a local guide. The tour was a bit strange as we had 3 different guides and there were loads of down times. We have been picked up at the hotel and dropped off by the gate off India where we were handed over to Nitin. The 1 hour boat ride was a bit awkward as we didn't have much communication at all while we saw other guides sharing information. But when we arrived Nitin switched on and we had the most amazing tour all around. You really can tell that he is local and passionate about this place. Nice touch for my wife was that Nitin made copious amount of pictures from us and the carvings. After the tour we had a drink and been dropped off by ourselves on the next boat. So once again a pretty boring 1 hour followed. We have been picked up by a young gentleman forgot his name but had the most amazing moustache who took us to a local restaurant and left us there. It was a bit awkward yet again as we didn't get the foggiest what are we eating and the serving staff wasn't very helpful either o lucky that we don't have any food allergies what could cause problems downside was also that the food was spectacular but as we didn't know what are we eating we couldn't re order it again somewhere else the driver picked us up 40 min later and dropped us by the hotel. Not recommended this one and make sure you have the tour guide name and number. We were supposed to be picked up by the driver for after tour lunch but he was no show. Txt the tour ppl but no response so we gave up waiting. They txt back later but too late. Not heard from them since.